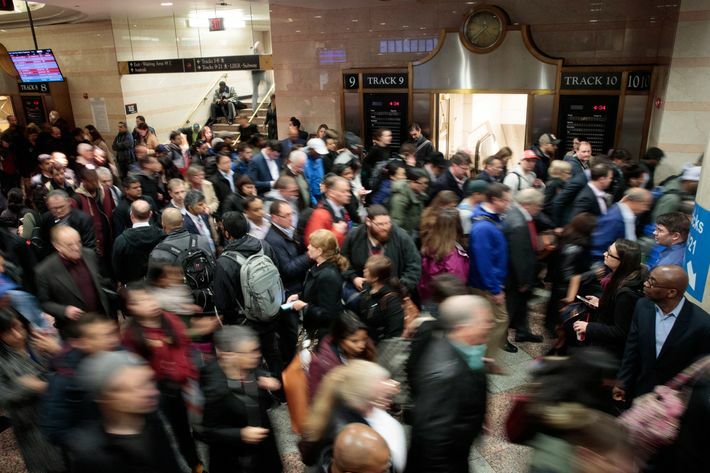 The Metropolitan Transportation Authority announced that there were more than 10,000 subway system delays in January 2018 alone. What’s worse is that the transit officials can’t determine what caused the delays to begin with. The 10,000 delays were just the tip of the iceberg when it comes to subway troubles of the MTA. According to internal documents, there were around 76,000-weekday delays in the first month of the year. The initial number of 10,000 was delays caused by unknown reasons, which was 14 percent of the total holdups. Instead of creating a new category for the delays, the MTA distributed them into each of the existing categories that include NYPD investigations, sick passengers, and the weather, just to name a few. That practice leads to skewed data that the MTA utilizes to analyze and improve its services. It also covered up the fact that trains were moving slower than they were supposed to. Andy Byford, NYC Transit President, promised to determine the actual causes of delays. This is good news for riders and transit advocates who were asking for better services. Subway delays due to broken rails and signal malfunctions were easy to spot and place into the right categories. However, service interruptions due to slow trains were more difficult to pinpoint, especially when there were no incidents reported by transit workers. At present, dispatchers had to give a reason for a delay if the train was late for five minutes or more or if a trip was discontinued. Dispatchers said that it is the duty of the Rail Control Center to write reports regarding late trains. Operators said most trains are running slower because of the repair work on the old rail system. Signal changes are also underway to comply with safety standards.